New Greek Prime Minister Antonis Samaras has just pledged to his country that the latest round of spending cuts for 2013-14 will be the last. 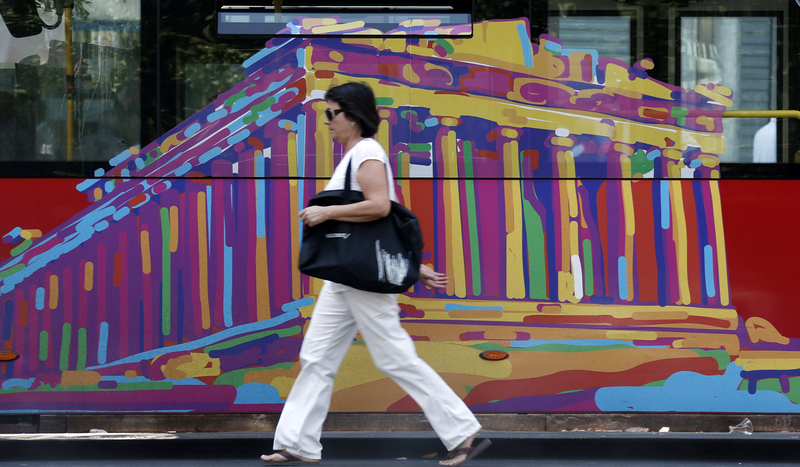 For austerity-weary Greeks, that news will likely come as scant consolation. REBECCA DAVIS just spent a week in the beleaguered country, where life goes on, but with a dreary awareness that economic conditions are unlikely to improve for years to come. Greece’s pair of $300-billion bailout packages have been largely financed by Germany, but if the Germans expect any gratitude in response, my taxi driver made it clear that none would be forthcoming. The tensions between the two countries were evident when Greece’s national football team met Germany in the quarterfinals of the European Championships in June. “Without Angie, you wouldn’t be here!” chanted the German fans, to which Greek supporters replied: “We’ll never pay you back. We’ll never pay you back.” Germany won the match 4-2. The taxi driver was expressing what seems to be a common sentiment in Greece: Germany, as represented by Angela Markel, is seen as largely responsible for the austerity crunches hitting hard at the moment. It’s not entirely unjustified: Merkel has had an uphill battle at home to persuade Germans that their tax money should be bailing out Greece at all, and an insistence on demanding Greek budget cuts and structural reforms is necessary to appease German voters. As a result, there’s little love lost between the two countries. A derogatory German term for a Greek, olivenfresser (olive-gobbler, loosely) captures a popular conception of Greeks as lazy and feckless, fiddling while Athens burns. Up until the point when I had unwisely raised the issue of Merkel, my taxi driver had been in classic Greek tour-guiding form, extolling the virtues of ancient sites as we passed them. There are few places in the world where the past and present brush up against each other as ostentatiously as in Greece, where the average Greek will – at the least provocation – proudly rattle off the story of a victory dating back to 400 BC as if it happened last week. There is an edge to this pride, now that Greece’s glorious past contrasts so starkly with its present and future. It is no coincidence that in these politically and economically troubled times calls for the return of the Elgin Marbles have started up again with renewed vigour. The friezes, taken from the Acropolis in 1806 by Lord Elgin and sold to the British Museum, have been a matter of contention between the UK and Greece for more than two centuries. Britain’s arguments for retaining the Marbles have historically been premised on the distinctly paternalistic rationale that it could be better cared for within the safety of the British Museum. There are also fears that their return would provide a precedent that would see most Western museums emptied of their exhibits in similar restitution claims. This month, the Independent Voluntary Movement for the Repatriation of Looted the Greek Antiquities launched an international campaign for the return of the Marbles, featuring a video with the following voiceover: “You can steal a statue. But you cannot steal my origin. I am Greek. Citizens of the world, I am being kept hostage. Help me return home to Greece. I was made to be ridden by heroes, I was made to run on stone, I am Greek and I want to go home”. Last week the British Museum said it may be “open to discussions regarding a short-term loan of some of the objects but not a permanent return”. This is unlikely to satisfy most Greeks, but it nonetheless represents an unprecedented concession, a gesture about which it’s hard not to discern a sense of “let’s throw them a bone”. In Athens’ sparkling Acropolis Museum, built at a cost of €130-million in 2009, plaster replicas of the Marbles fill what would otherwise be blanks in the top-floor Parthenon Gallery, while a video explaining the Parthenon’s construction doesn’t hold back on criticism of Lord Elgin’s plunder. At a time when national morale may be reaching an all-time low and Greeks grumble at the loss of autonomy to Europe’s diktats, issues like the Elgin Marbles take on a special kind of political significance. He isn’t wrong. Part of what will sustain life in the villages as normal is the continued existence of strong community and family ties, where few of the elderly people need fear that they will end up without food or home. In Athens, as in most of the world’s urban centres, these ties are weaker and the rocketing figures of youth unemployment mean that an older generation who would once have relied on their children for support now find themselves adrift. Pensioners are bearing much of the brunt of the austerity cuts. In addition to rising VAT and the introduction of supplementary emergency taxes, elderly Greeks have seen their pensions cut by 60%. They must also bear with the possibility of a measure currently under consideration which would see a cap of €1,500 per person annually for free healthcare. Walking around Athens, in the shady National Gardens and the parkland which hems the base of the Acropolis, I saw many old people with their possessions stuffed into plastic bags, sitting quietly on benches which seemed to have become their home. Over the past two years, suicide rates in Greece have increased by 40%. Many of these were elderly Greeks. In Tolo, a seaside resort on the Peloponnese popular as an August holiday destination for wealthier Athenians, a hotel owner told me that bookings from domestic tourists had dropped by 40% over the past year. But, she said, there was a commensurate increase in international visitors, drawn by the prospect of snapping up a Mediterranean holiday at a cheaper rate than would normally be possible. Indeed, it was barely possible to find a free patch of sand on Tolo’s narrow beach and at night the streets thronged with holiday-makers, many of them French. Athens, too, was busy, though there was an air of desperation in the manner of restaurateurs touting for business on the street. If you judge the tenor of a city’s mood at any given time by the nature of its graffiti, it is clear that all is not well in the Greek capital. “Eat the rich!” raged one wall. “Rise up people of Europe!” was the call on another. “Exit! Exit! Exit!” was daubed on the kerb of a road leading up to the Acropolis, a plea for Greece to leave the European Union. Of all the Greeks I spoke to, however, I found only one in favour of the “Grexit”: a self-proclaimed “anti-racist, anti-sexist, anti-capitalist” 30-year-old hotelier who raged against the international banking system. Among the rest, there appeared a consensus of unease as to Greece’s fate if it left the EU, and particularly that a return to the drachma would be disastrous. Syntagma Square, the communal area facing the Greek parliament which has been the site of the capital’s anti-austerity protests, was quiet. A week or so prior to my trip, a delegation from the Golden Dawn, Greece’s far-right party, had set up camp in the square to hand out free food to those in need. The caveat? Only “real Greeks” needed apply: Greek citizens, no immigrants. “Xenophobia” is a Greek word, and never has that etymology seemed more apt than in recent months. The virulently anti-immigrant Golden Dawn is now the fourth largest political party in Greece, despite the fact that in recent weeks its supporters have carried out attacks on military bases where immigrants are being detained by the government. They seem a thoroughly nasty bunch. In June, a Golden Dawn politician briefly became the star of a viral internet video when, in the middle of a TV panel discussion, he began to repeatedly punch a female Communist Party politician with whose views he disagreed. Last week, flyers were distributed by the party in Athens’s gay clubbing district. “After the immigrants, you’re next,” they read.